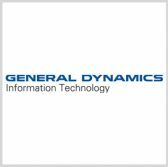 A business unit of General Dynamics has received a potential five-year, $52 million task order to provide strategic support services to a U.S. Army organization that works to develop pharmaceutical drugs, vaccines and medical support equipment for warfighters. General Dynamics Information Technology will provide administrative, programmatic, technical, scientific and logistical support to the Army Medical Materiel Development Activity under the single-award task order, the company said Monday. GDIT will assist USAMMDA through the Food and Drug Administration regulatory process for medical devices and help the activity develop plans to field the medical technology platforms into service. “We are committed to continuing our partnership with USAMMDA and assisting their mission of protecting and preserving the lives of warfighters,” said Marcus Collier, senior vice president at GDIT’s health and civilian solutions division. GDIT will perform contract work at Fort Detrick in Maryland.